The Rapha Gentlemens Race. Those who have heard of it, know it to be a true test of endurance. 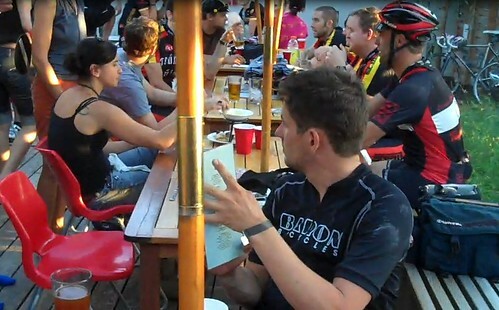 It’s invite-only: unsanctioned, unmarshalled, but from start to finish a top-notch event. There are follow cars, video and photo cameras, cheese and sausage at check points, and a SERIOUS party at the end. Even the T-shirt was great. 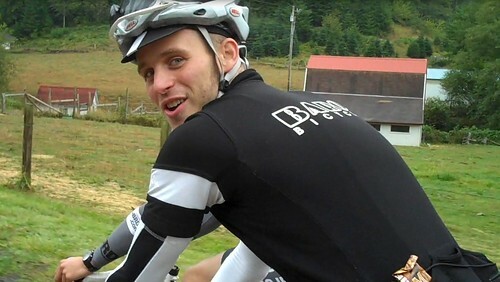 I got the invite from Geoff Casey – the owner of Baron Bicycles (my disc rain bike). He invited a handful of the folks who have bought Baron’s to comprise the 6-man team. One of the guys is the uBRDO shop mechanic and he was able to score us the uBRDO Sprinter van – so we could roll down to the Oregon Coast in style. Race day was a little scattered as we slammed down breakfast and rushed to our 10am start time. The race is actually handi-capped (I didn’t know this until after the race) with the first teams off at 8am. Our team was registered with 4 Cat1s, 1 Cat2, and 1 Cat3. 2 of our Cat1s dropped our and we picked up 2 Cat3s – and we didn’t get re-handicapped, so we were one of the last teams to start. If we weren’t doomed with our bad start time, we were quickly there after when I pinch-flatted 15 minutes in. The course had a number of gravel sections which took their toll on us: 5 flats, 2 blown sidewalls, 3 derailleur cables rattled loose, but thankfully no crashes. 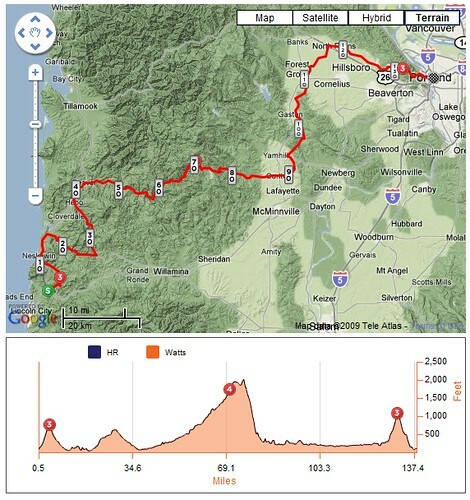 138+ miles, some considerable sections of climbing, and some pretty amazing views along the way. I have to say I was happy to be riding steel over some of that stuff. Disc brakes were nice for bombing down the gravel descents too. 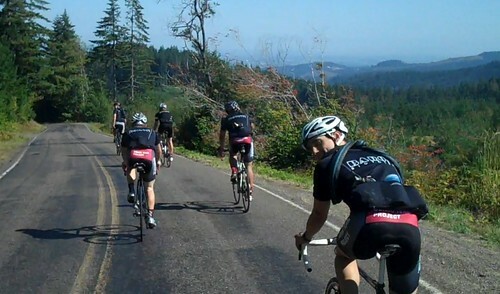 At one point, we met up with the guys of the Rapha Continental. It was cool to roll along and trade stories with those guys. There aren’t many long-rides that they haven’t done in the states. Those bikes have seen some miles. By the end of the day, 3 of our 6 guys were pretty crushed. That last climb into Portland was brutal. In talking with other teams – most had people getting a little push up the steeper pitches and we were no different. 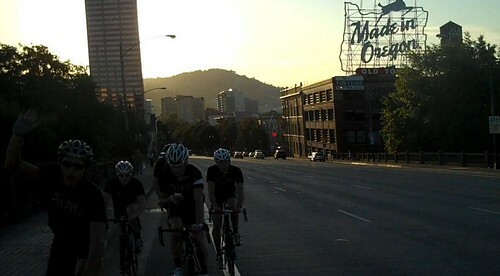 We rolled into Portland around 6 and headed to the bar where Rapha hosted a great party. It was an awesome day. I’m hoping to get the nod again next year. Previous Previous post: Most Badass BMX cranks. Ever.